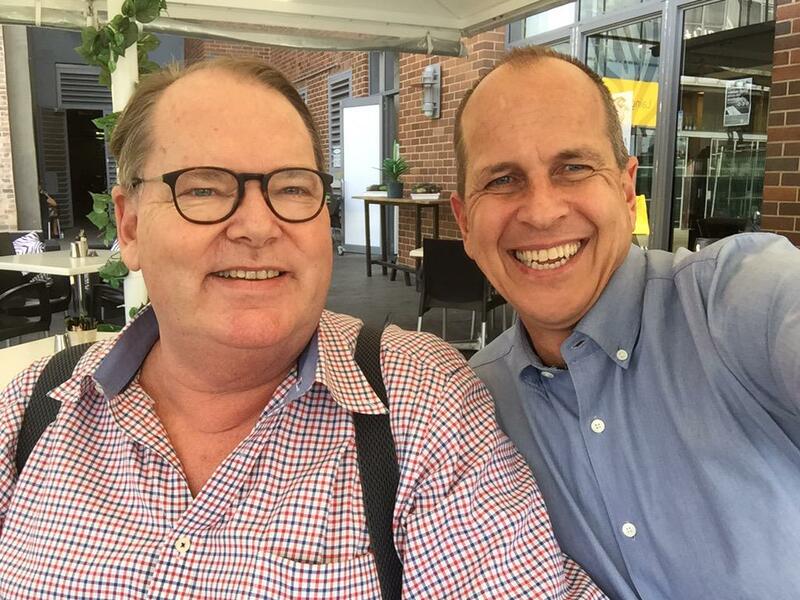 After appearing on Q&A earlier in the week, journalist Peter Greste had a media day in Sydney. 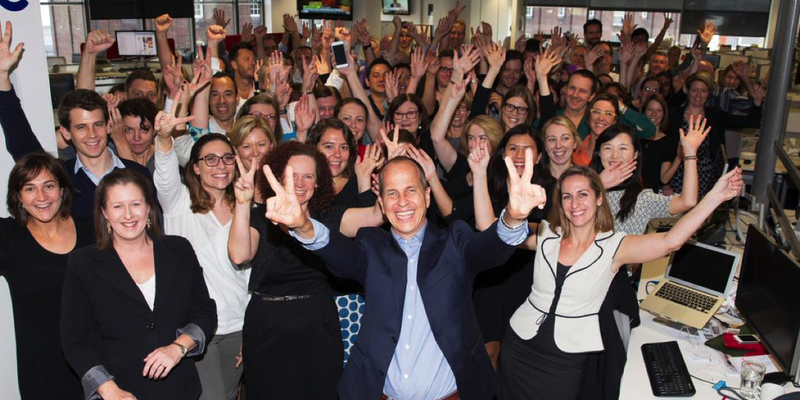 He visited The Sydney Morning Herald newsroom where he posed for a photo with the staff. [This photo was taken by Fairfax Media photographer Edwina Pickles.] The visit was in part to thank the Fairfax journalists for campaigning for the release of the Al Jazeera staff last year. Later in the day Greste spent time at launch with the host of ABC Radio’s PM program Mark Colvin (left). Greste thanked Colvin for also reminding his audience that Greste and his colleagues were being imprisoned in Egypt.